Beacons are popping up everywhere. Although beacons are popularly considered to be retailer-focused opportunity, of recent this new proximity-detection technology has sparked the imagination of event organizers too. Many of them have already integrated these tiny devices with their mobile strategy to offer their visitors enhanced features such as exhibitor information, maps, contact exchange, advertising and promotions, scavenger hunts etc. For years, event organizers have adopted location-based functionalities to enhance a visitor’s experience by delivering improved customer service through their event apps. 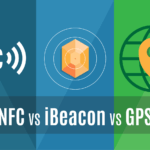 But today, when it comes to indoor positioning and mapping, apps that rely on beacons, are better accepted as a better alternative to those that rely on GPS and NFC. This is mainly because beacons are designed to be functional in all weather conditions and accurately pinpoint a booth on a trade show venue without the need for a Wi-Fi connection. Also, if you are just beginning to learn about the iBeacon technology and beacons in general, our Beacon 101 ebook is a good place to start. In this post, we will discuss in detail about how beacons can revolutionize event management industry, as a whole. Today, gamification plays a crucial role in creating positive brand awareness while offering enhanced visitor engagement. You can leverage beacons to encourage your attendees to explore less popular areas of your trade show by offering them special rewards for doing so. You could also reward them for certain valued actions such as completing a feedback questionnaire with free coupons or merchandise. Consumer Electronics Show (CES) 2014 held an iBeacon powered Scavenger Hunt to encourage their visitors to explore the most important exhibits at the show, while collecting badges from each beacon that they encountered. Later, the first three players to collect the entire list of badges shown on the screen were rewarded at the event. Many event organizers are now experimenting with beacons to speed up the check-in process. You can deploy these tiny pieces of hardware at the entrance of your exhibition or conference venue and use them to send QR codes to the attendees’ apps for easy check-in. SXSW 2014 festival, for example, deployed Qualcomm Gimbal beacons about strategic locations within the venue to enable their attendees to gain easy and quick access inside. To enable this the event organizers pushed Registration Quick Codes via notifications to the mobile phones of their attendees when they were in the vicinity of the SXSW registration area. Beacons enable event apps to take the participation level of your attendees to a whole new level. Most apps use visitor self-tagging or LinkedIn integration to match profiles based on user’s interests to send them notifications when they are in close proximity to a match. For example, Cannes Lion Film Festival 2014, leveraged beacons to make it easier for attendees to instantly spot, connect and message influential industry targets around them using the ‘Around Me’ feature in the official event app. 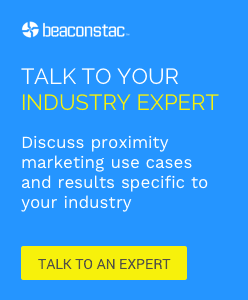 and more read our post on ‘How Beacons can Transform Event Management and Trade Shows‘. You will also find ideas on how you can leverage beacons to gather valuable attendee information and thus gain insights on ways to streamline and improve your events for future.